Yayoi Kusama's Give Me Love, on view now at David Zwirner Gallery, has me seeing spots. Upon entering the gallery, which is fully open to the street, you are confronted with a little house which is furnished completely in white, from floor to ceiling. 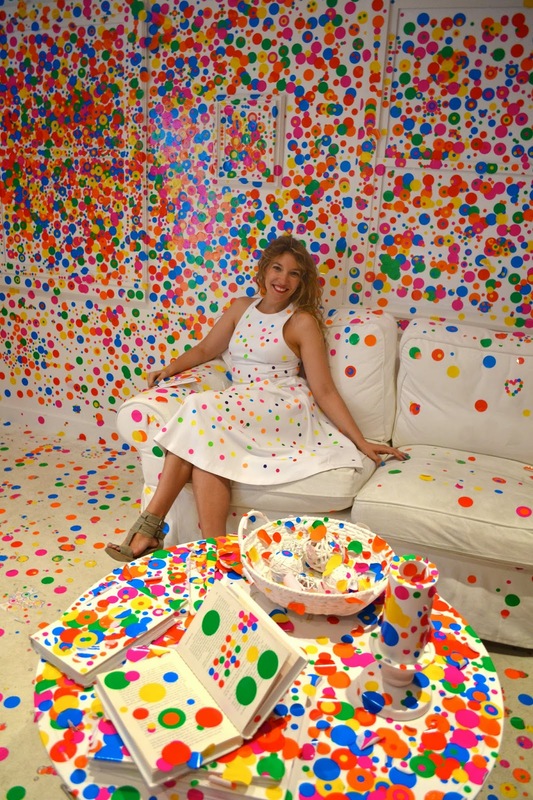 Each visitor is given a sheet of polka dot stickers, and you are encouraged to use all of them to decorate obliterate the space. Also accompanying the Obliteration Room are some of Kusama's pumpkins as well as a number of paintings in the space next door. 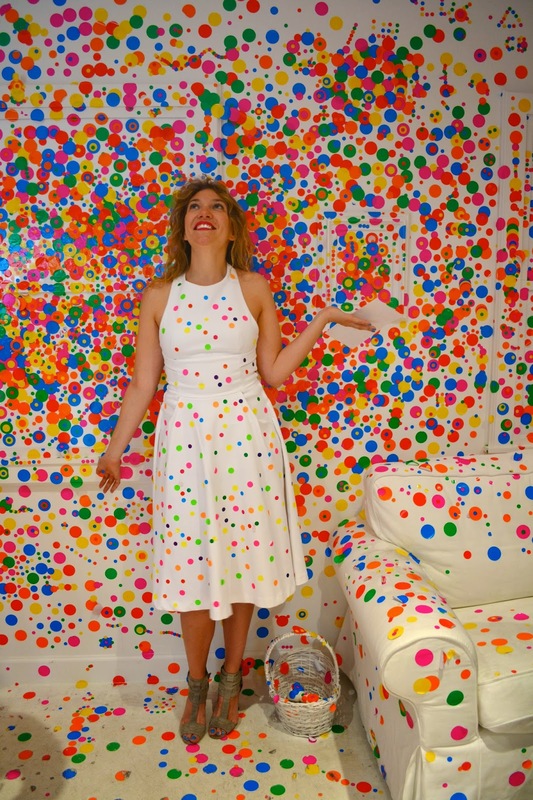 It's difficult to be unhappy while surrounded by colorful spots, and to be able to participate in the madness makes it that much more fun. Give Me Love is on view through June 13 at 519 and 525 West 19th Street in NYC.